Reagecon’s 60% Sucrose in Water (Brix) is a Certified Reference Material (CRM). The product is manufactured and certified in accordance with the requirements of ISO 17034 (INAB Ref: 001RM) and can be used on any make or model of refractometer. 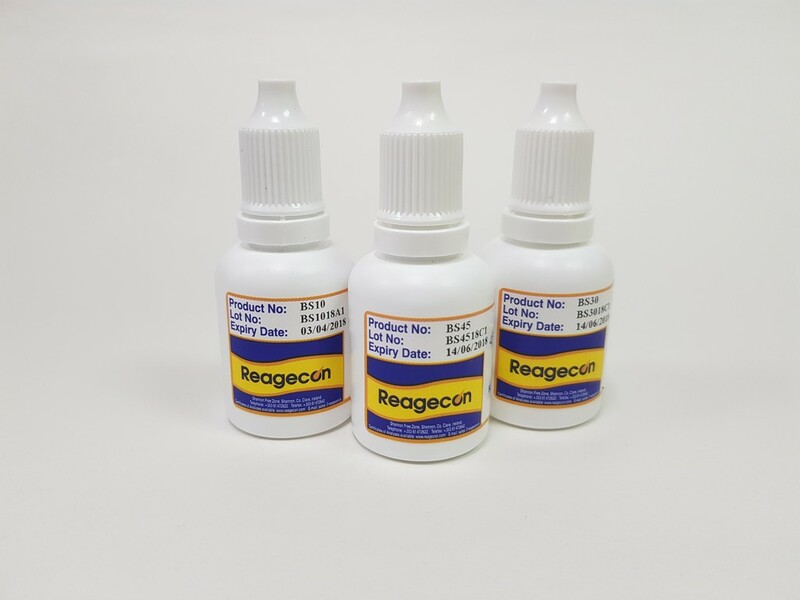 This product is used primarily either as a calibrant or analytical control solution in Refractive Index based methods of Brix value determinations, it can also be used to validate appropriate test methods or qualify a refractometer for use in a regulated industry. The product has a shelf life of 20 weeks, is manufactured in accordance with ICUMSA guidelines and is presented in a convenient high quality dropper bottle. The product measurement uncertainty is computated on a batch to batch basis, but is guaranteed to never exceed ± 0.15 °Brix. ISO 17034 accreditation requirements include raw material characterisation, homogeneity and stability studies, assignment of certified values as well as packaging and documentation control. This product is certified gravimetrically on a mass fraction basis. Both solute and solvent are weighed on balances calibrated by Reagecon’s engineers using OIML traceable weights. Reagecon holds ISO/IEC 17025 accreditation for calibration of laboratory balances (INAB Ref: 265C). The resulting balance certificate of calibration is issued in accordance with the requirements of ISO/IEC 17025.